Samsung has a boatload of experience when it comes to developing Windows PCs but the company is now going to make a notebook fueled by a Snapdragon chipset in partnership with Qualcomm to push the ARM-based silicon to more Windows 10-running machines. Confirmed at the Computex 2018 trade show, both tech giant will aid each other in making a Windows PC powered by Snapdragon and become a part of the ‘Always Connected PC’ ecosystem of Microsoft. Windows 10 was brought to the Snapdragon 835 last year by Microsoft and Qualcomm to make it easier for manufacturers to make computers that are connected all the time with Gigabit LTE connectivity. It was to make way for a new series of ARM-based computers that were lightweight, slim, LTE-capable and offered prolonged battery life. Qualcomm has already announced a new chipset for ARM PCs which will bring a significant upgrade over the Snapdragon 835. The same chipset will be used by Samsung to power its new device. Qualcomm also announced the Snapdragon 850 Mobile Platform for Windows 10 for ARM-based. The chip is made using the 10nm second-generation process and consists of Qualcomm’s Kryo 385 CPU running at a higher clock speed, Hexagon 685 Vector chip, Snapdragon X20 LTE modem, Adreno 630 GPU, an AI unit, and Spectra 280 Image Signal Processor. The new platform will also provide a 30 percent increase in performance compared to its predecessor, with a peak performance that could go up to 50 percent. Additionally, it should also provide 3 times better AI performance, and offer connectivity speeds of 1.2 gigabits per second. 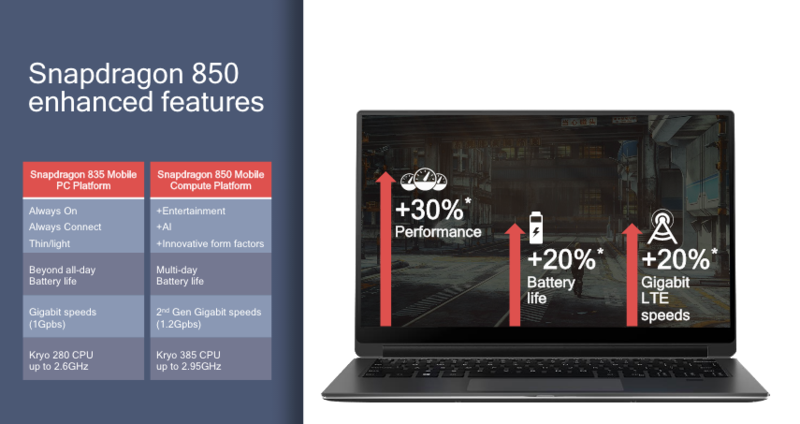 Most importantly, Qualcomm claims that it will be able to provide a battery life of up to 25 hours, which is going to be a first on a notebook. 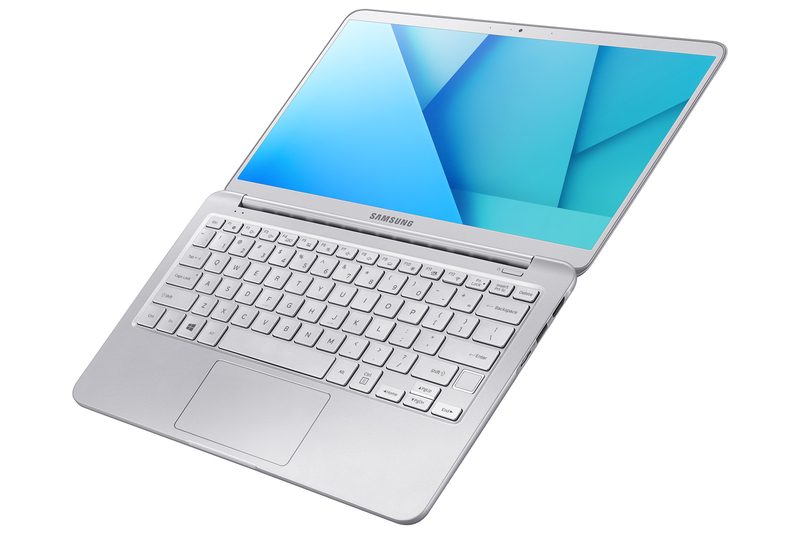 Samsung might be the first OEM to get early access to the Snapdragon 850 and tune it according to its liking for use in the ‘Always Connected PC’ that it is working on. No other details are known about Samsung’s upcoming device yet but after looking at previous iterations that housed a Snapdragon 835, it may very well a 2-in-1 hybrid.